Our company was established to provide people with a wide selection of Garden Fence panels designs. 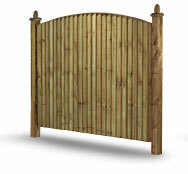 Looking at the current market there doesn't seem to be a wide range of Garden Fence Panels to choose from until now! 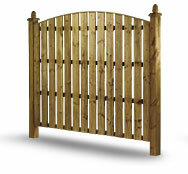 all our Garden Fence panels are hand made in West Yorkshire,uk, and not cheap imports. Special size fence panels can be made upon request. We also specialise in Lawn care from cutting grass to weeding, lawn care packages available. These Paling Fencing Panels are popular due to there strength, They are made using 100mm x 19mm Railings, They have the added advantage that they let the wind pass through,Which for some is an important factor when buying Fence panels, They are also good as a Security Fence, as they let you see through them. So You can see whats on the other side. These Fencing Panels can be fitted either in Concrete Fence Posts, Supalite Upvc Fence Posts / Plastic Fence Posts, Traditional Wooden H Posts and Normal Timber Wood Posts, our Garden Fence panels Sizes from 2ft,3ft,4ft,5ft,6ft, Fencing. 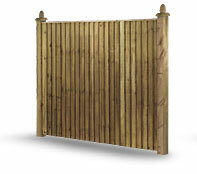 Other Garden Fence Panel Sizes available on request. 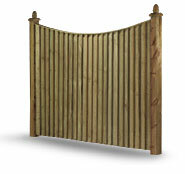 We Can Make these Picket Fence With Shaped Tops Round or Pointed. These Garden Fence Panels are a Popular Fence panel Due to there Strength, You will see many different Sizes of these Fence Panels Fitted all over the UK, The Vast majority of House Builders use this type of Fencing, Due to its Strength and Privacy Propertys,They are very popular for people who want privacy as there are no gaps in the Fence Panel, making this a really Good Privacy Fence Panel,and a good security fence too. These Fencing Panels can be fitted either in Concrete Fence Posts, Supalite Upvc Fence Posts / Plastic Fence Posts, Traditional Wooden H Posts and Normal Timber Wood Posts, our Garden Fence panels Sizes from 2ft,3ft,4ft,5ft,6ft, Fencing. 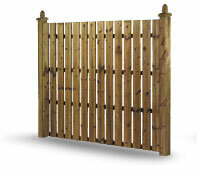 Other Garden Fence Panel Sizes available on request.